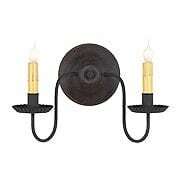 Wall sconces are ideal lighting solutions for brightening hallways, dining rooms, bathrooms and other living areas. 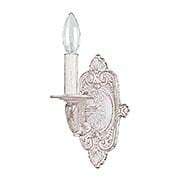 Attractive and highly functional, our antique wall sconce lighting selection represents all the major period home styles. Refine your selection by choosing a style below. 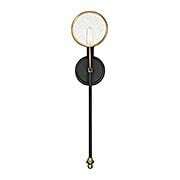 Our eclectic Shante Wall Lamp is suited for a variety of interiors. 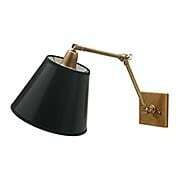 Pivot points at the shade, arm, and back plate let you direct the light right where you need it. 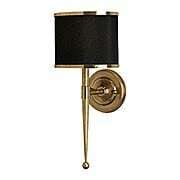 The weathered-brass finish offers contrast to its black parchment shade. Made in the USA. 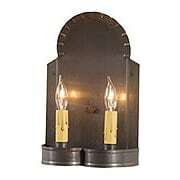 A creative blend of industrial influences shape the sturdy, yet stylish Pearl Street Medium 1-Light Interior/Exterior Wall Sconce. 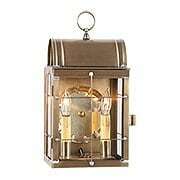 This vintage-style fixture is made from weather-resistant aluminum, and features a back plate proudly stamped with the manufacturer's label. 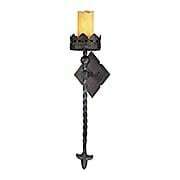 A frosted, pressed-glass shade and rustic, charred-zinc finish add to its authentic look. Suited for indoor or outdoor use. 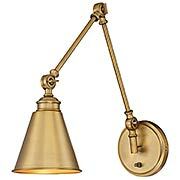 A creative blend of industrial influences shape the sturdy, yet stylish Pearl Street Collection. 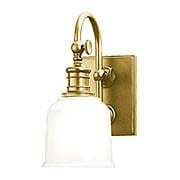 This vintage-style wall sconce is made from weather-resistant, solid aluminum, and features a back plate proudly stamped with the manufacturer's label. 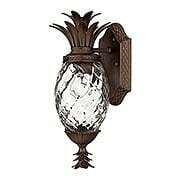 A frosted, pressed-glass shade and rustic, charred-zinc finish add to its authentic look. Suited for indoor or outdoor use. 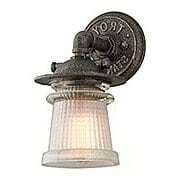 The Scout 1-Light Adjustable Wall Sconce recalls the sturdy design of vintage dockyard lighting. 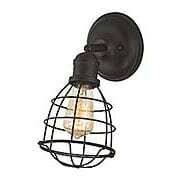 It features an exposed bulb profile and authentic-style cage frame. 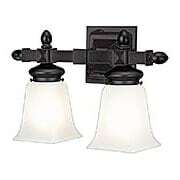 An adjustable design allows you to direct the light where you need it, making it ideal for your entry, hall, or utility room. 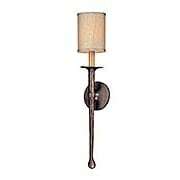 This sleek, torch-like Faulkner Small 1-Light Wall Sconce is a pleasing addition to any decor. 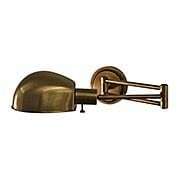 This angled design is hand-forged in iron giving it a rough, textured surface and finished in a rich Pompeii-bronze. 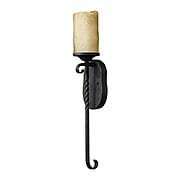 A contrasting cream, hardback-linen shade and faux wood-grain candle cover complete this enchanting ensemble. 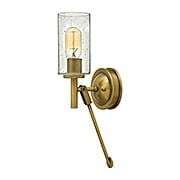 The Rio Salado 1-Light Wall Sconce brings elegant sophistication to your decor. Delicately fashioned scrolls, adorned with leafy tendrils, a dripping candle sleeve, and dangling crystals combine to create this traditional beauty. 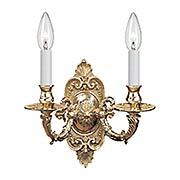 What a striking addition to your dining room, entry, or hall! 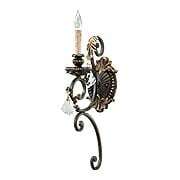 A creative blend of industrial influences shape the sturdy, yet stylish Pearl Street Small 1-Light Interior/Exterior Wall Sconce. 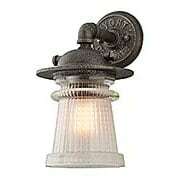 This vintage-style fixture is made from weather-resistant aluminum, and features a back plate proudly stamped with the manufacturer's label. 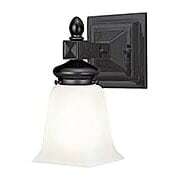 A frosted, pressed-glass shade and rustic, charred-zinc finish add to its authentic look. 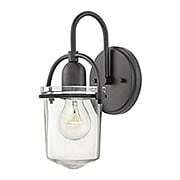 Suited for indoor or outdoor use. 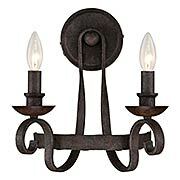 A creative blend of industrial influences shape the sturdy, yet stylish Pearl Street Collection. 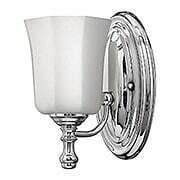 This vintage-style wall sconce is made from weather-resistant, solid aluminum, and features a back plate proudly stamped with the manufacturer's label. 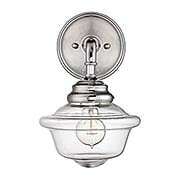 A frosted, pressed-glass shade and rustic, charred-zinc finish add to its authentic look. Suited for indoor or outdoor use. 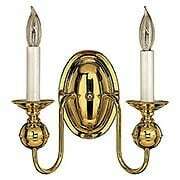 Reminiscent of pharmacy lamps of the past, the Dakota Collection is a study in early 20th-century style. 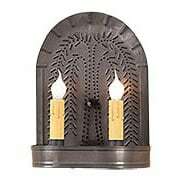 This adjustable wall sconce features sleek lines, a classic conical-shaped shade, and comes in an array of popular finish options. 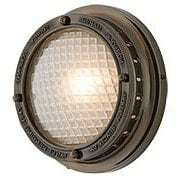 Whether it is placed above a project table, desk, or work bench, it offers bright, targeted lighting exactly where you need it.